Welcome to Trace Italian, a game of strategy and survival! You may now make your first move. Isolated by a disfiguring injury since the age of seventeen, Sean Phillips crafts imaginary worlds for strangers to play in. 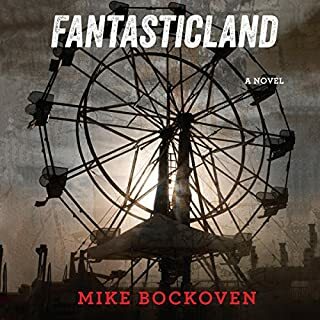 From his small apartment in southern California, he orchestrates fantastic adventures where possibilities, both dark and bright, open in the boundaries between the real and the imagined. Julie and James settle into a house in a small town outside the city where they met. The move - prompted by James' penchant for gambling, his inability to keep his impulses in check - is quick and seamless; both Julie and James are happy to leave behind their usual haunts and start afresh. But this house, which sits between lake and forest, has plans for the unsuspecting couple. Jeremy works at the Video Hut in Nevada, Iowa. It's a small town in the center of the state - the first a in Nevada pronounced ay. This is the late 1990s, and even if the Hollywood Video in Ames poses an existential threat to Video Hut, there are still regular customers, a rush in the late afternoon. It's good enough for Jeremy: It's a job, quiet and predictable, and it gets him out of the house, where he lives with his dad and where they both try to avoid missing Mom, who died six years ago in a car wreck. But when a local schoolteacher comes in to return her copy of Targets - an old movie, starring Boris Karloff, one Jeremy himself had ordered for the store - she has an odd complaint: "There's something on it," she says, but doesn't elaborate. Two days later a different customer returns a different tape, a new release, and says it's not defective, exactly, but altered: "There's another movie on this tape." Jeremy doesn't want to be curious, but he brings the movies home to take a look. And indeed, in the middle of each movie, the screen blinks dark for a moment, and the movie is replaced by a few minutes of jagged, poorly lit home video. The scenes are odd and sometimes violent, dark, and deeply disquieting. There are no identifiable faces, no dialogue or explanation - the first video has just the faint sound of someone breathing - but there are some recognizable landmarks. These have been shot just outside of town. So begins John Darnielle's haunting and masterfully unsettling Universal Harvester: the once placid Iowa fields and farmhouses now sinister and imbued with loss and instability and profound foreboding. The audiobook will take Jeremy and those around him deeper into this landscape than they have ever expected to go. They will become part of a story that unfolds years into the past and years into the future, part of an impossible search for something someone once lost that they would do anything to regain. 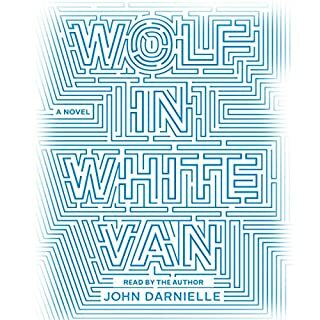 I love John Darnielle's music and also Wolf in White Van, but this his masterpiece. The blend of unsettling suspense and powerful humanity make this story unique and unforgettable, and John's narrative is intimate and quietly expressive. If you could sum up Universal Harvester in three words, what would they be? Very beautiful, ambitious concept within a reasonable, grounded world. Has a Twin Peaks strangeness about it, but sums up very clearly by the end. What does John Darnielle bring to the story that you wouldn’t experience if you just read the book? Darnielle has a soft, expressive voice which definitely adds to the melancholic vibe. Introspective and sad at some points; definitely an emotional ride. One of my favorite books I've read (listened to) in a very long time. This is a haunting story about the personal nature of grief. It shows the uncomfortable feeling people get when they get too close to a traumatic event. the story assembles several different stories of loss and coping, and the result makes the reader or listener feel uncomfortable. The story pushes our comfort zone a little. at first I felt the story was fast and gripping but then it slowed down, took unexpected turns. I liked the detours themselves, but wondered how it would connect to the larger thread. It pulled through. Better still, between the larger theme and offhand comments, I found myself thinking I thought the same thing as the narrator. Simply, I had a feeling about an aspect of life and the narrator said the same thing. that's how this book impressed me. I'll definitely read the lyrics of the mountain goats more (the lyricist is the author). I might even read his first book. i can't recommend Universal Harvester enough. This story is not a thriller. It's a stylized observation of midwestern life in the 90s. Though well written, the story lacks substance....you spend most of your time waiting for a payoff, but are left with few answers. I was extremely disappointed with the story and felt that this books only redeeming qualities were the descriptive writing and the performance by the reader. As a long time fan of Darnielle I couldn't wait to pick up this book. I purchased the audio version and just as I expected the performance was exceptional. His voice is perfect for the strange, intriguing, and sad plot of the book, and really draws you into the characters. This book, while I wouldn't categorize as horror, is definatly creepy at times. It keeps your mind on the edge of letting it wonder to what could actually going on, allowing you to dream up the worse and most gruesome scenario while not actually taking you to that place of "horror". Loss is a huge part of this story. I've never lost someone close to me, I've known people who have died but the book really showed me a perspective of loosing a loved one that I never thought about. It made me rethink a lot of stuff in my life, for the better I think. The pacing of the book is a little strange after part 1. During particular parts the scenes change very quickly with little indication other than saying the name of a characters. It often caught me off guard and I had to rewind a bit just to make sure I wasn't getting things confused. At the same time the way the story changes quickly and unexpectedly to reveal different details about what's going on was like finding puzzle pieces all over the ground, and as the story goes on you see more and more pieces that fit together until you have the full picture at the end. The finished picture is sobering. Much of this reads as a mystery, but I was more struck by the characters and how they were inextricably part of the environment. The book is probably more about specific locations--small rural towns--than anything else. People have expectations of a field: what one ought to be like, how it ought to feel. While Darnielle's writing is great, and his voice has the right sound for the characters in his novel, he tends to slur his words a bit--at times the narration sounded like he was sucking on a hard candy while narrating. Raw and powerful emotions mixed with small town nostalgia and the unknowable sense of loss. A beautifully written novel. Una historia lenta, pero interesante. Los personajes son muy buenos, pero no esperen una conclusión dramática ni mucha acción. this book had so many great things going on. 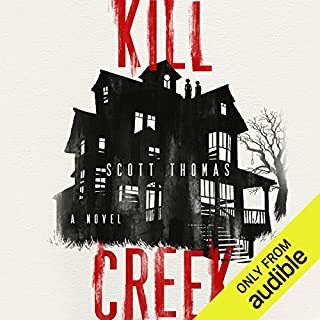 author's reading of it was very engaging, aesthetic was dark and creepy and explored a lot of the darker, bleaker ins and outs of rural/small town US. but then it ends and basically nothing has occurred of any real consequence. I wanted something more, to see the face of the darkness, but it just was not there. wasted opportunity by a decent author. If you're going into this book with the expectation of a horror or a thriller, as was described in the lead up to the book, you're going to be disappointed. 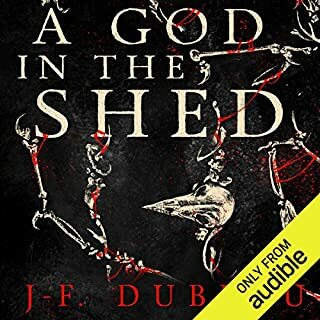 I bought this audio book halfway through Darnielle's Wolf In White Van because I found that story to be so compelling that I was convinced I would love this one too. in another life, where my expectations were not set for literally the opposite of the book's pace and tone, I believe I would have. 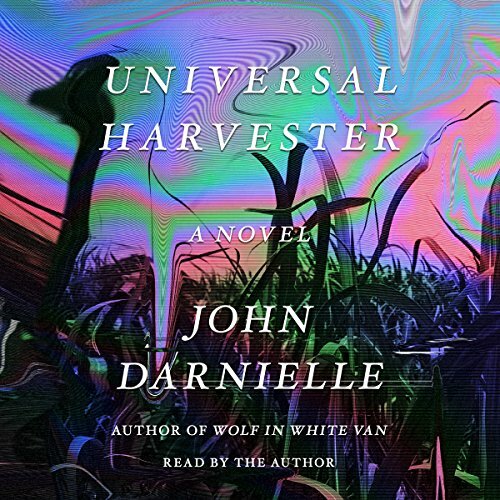 Darnielle's Universal Harvester is a slow paced character focused story on a variety of characters suffering from loneliness in the american mid west. It had some vaguely creepy moments, which were not focused on, because they weren't the point. Apparently the marketing team missed that. Only thing for me to do now is make it fade from my memory and listen to it again in a few months. A seemingly slow paced novel which struggled to grasp my attention at first. 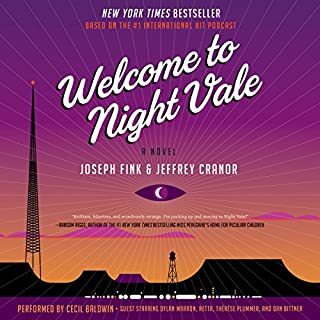 However, I'm not sure if it was the calming smooth pace of John Darnielle's narration or the consistent carrot on stick type writing which left me wanting to know more. Definitely worth listening to and I garuntee you will want to know the story behind these characters after Part 1.
i have not being so moved by a book since I read 'god of small things' 20 years ago. This beautifully crafted hymn to the loss of family and home moved me to tears. This novel was so surprising in many ways. I'd bought it thinking it was a horror, and indeed on some Buzzfeed list titled 'Scariest books you'll ever read!' the write up sounded positively Ring-like. Strange scenes appearing on video tapes? Who wouldn't want a dose of that? But if it is a horror, then Darnielle has superseded and challenged the conventions of the genre. Written poetically and through what is revealed to be retrospective narration by a mysterious story teller, Darnielle pushes the boundaries of all things. Experimenting with breaking the fourth wall and addressing readers, incorporating poignant musical themes at the end of certain chapters, and constructing a non-linear narrative, the listener is drawn into the seemingly simple and strangely nostalgic world of 1990s Iowa. While some might argue that the reveal of the 'monster' behind the scenes is ultimately unfulfilling, if you look beyond the genre, Darnielle has actually done something much more profound. He's explored fundamentals of human nature and the impact of relationships on us and our loved ones. Narrated by the author himself, Darnielle toes the line between laissez-faire and the natural regret from aging. An audiobook wherein after, I wanted to read the physical copy! disturbing and captivating. but I'm not sure how many people will be satisfied with it. Intelligent ,interesting and compelling .I don't read much fiction but I loved the depth and heart of this story. PART 1 OF THIS BOOK: this creepy mystery story had me hooked. PART 2 OF THIS BOOK: the tonal shift from mystery to family drama was very jarring. It made the story's mystery less interesting. PART 3 OF THIS BOOK: I was still recovering by the tonal shift from part 2. This chapter didn't help me regain my initial excitement for this story. 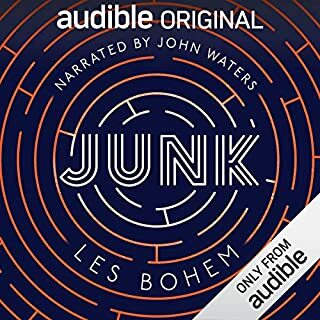 So, I stopped listening to the rest of this audiobook.